How to activate PRO version? This article provides information for customers who have purchased Professional (PRO) version of our products. Instructions below will help you convert free version of the program to fully-featured Professional edition. First, make sure you have purchased license for PRO version. You can do it here. After purchase you will receive activation key(s) by email. 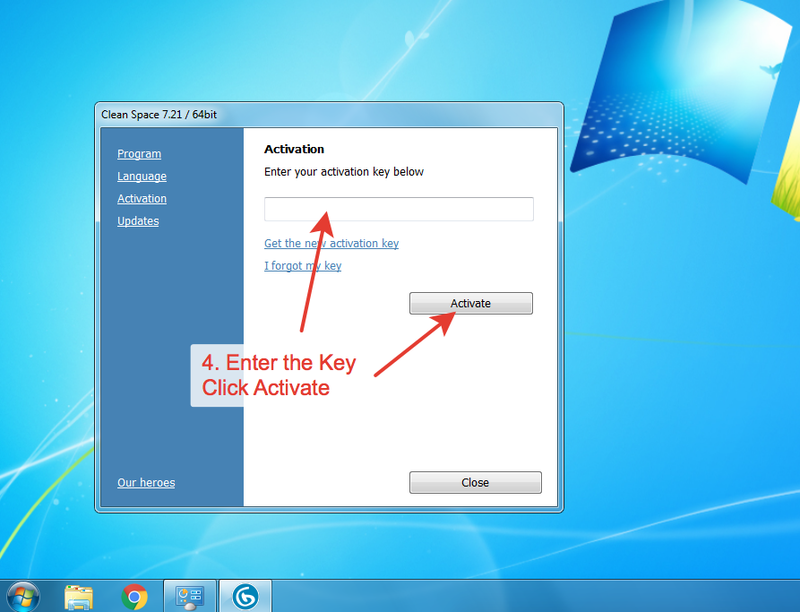 If you don't remember your activation key, or lost it, please click here. Step 2: Install your new program. Please visit main page of our site and install FREE version of purchased program. Yes, first we will install free version, and in next step we will convert it to PRO. Step 3: Open activation screen. 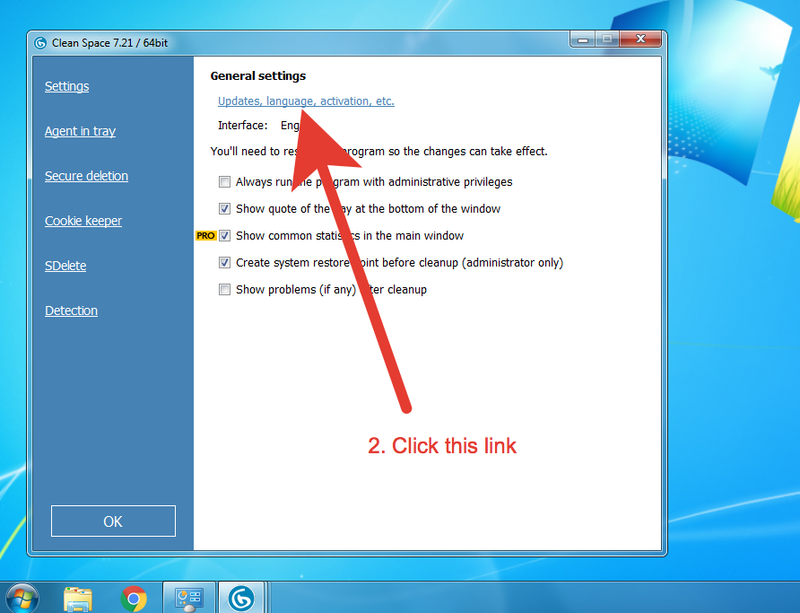 Depending on the program, activation screen may be found using several ways. 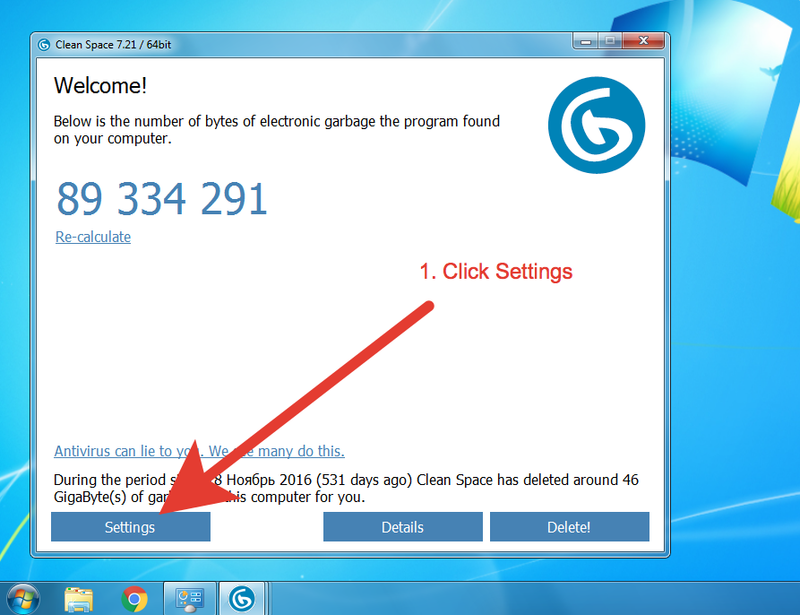 For example, below are 4 steps to activate Clean Space. In our other programs process similar. Just visit Settings area and find the word "Activation". That's all. Activation is simple. Remember to restart the program after activation.